Converter Test System – Crest Test Systems Pvt. Ltd. This is a turnkey solution for routine automated testing of metro, mainline, or locomotive converters. The system consists of a power source for powering up the DC Link and testing line-side and motor-side converters in near-ZPF mode by using resistive, inductive, and mixed loads. 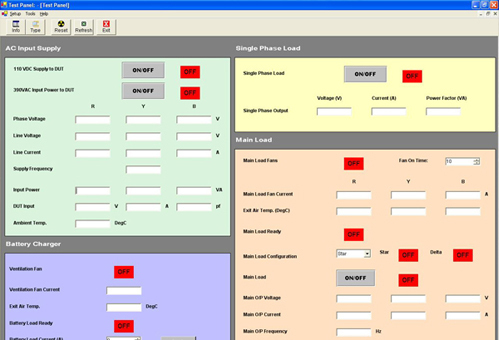 A single test system has multiple channels for testing different converter variants. 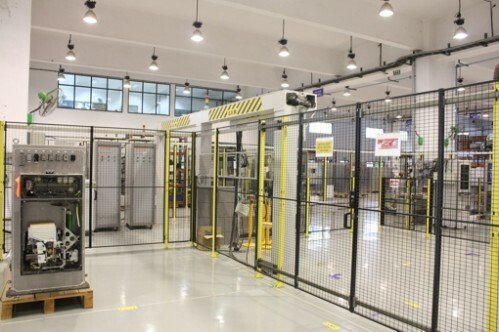 The system has a well-ventilated load bank, a coolant management system, and a supervisory control system for ensuring safety while execution of test sequences. It consists of data acquisition and measurement hardware for measuring test parameters, and archiving and presenting results in a suitable format. The system has the necessary safety provisions and interlocks for protecting the power supplies and loads, raising alarms and showing test status and other indications. 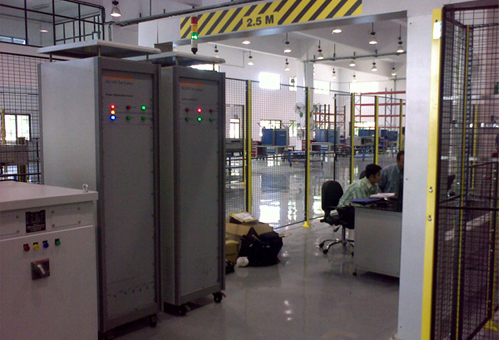 The construction and layout of the test system can be customized as per the space available on the shop floor.